Home Tags Posts tagged with "missy robertson"
Duck Dynasty’s Jase and Missy Robertson will be special guests at the Arizona Diamondbacks’ “Date Night at the Ballpark” on May 2 at 7:00 p.m. at Salt River Fields at Talking Stick. The baseball team is partnering with the Association of Marriage & Family Ministries that night, with the theme being focused on the importance of healthy relationships and how marriages and relationships thrive on continued dating. As part of the evening, Jase and Missy Robertson will share their love story, and entertainment will be provided from David and Tamela Mann, who are co-stars on Tyler Perry’s Meet the Browns, as well as Raun Alosi & The Date Night Band, who will play songs from the ’70s and ’80s. General admission for the Arizona Diamondbacks’ “Date Night at the Ballpark” event is $25 for groups of more than eight people, and the price is $30 for individual tickets in the lower bowl. For fans who want to sit on the field, the cost is $35. Mia Robertson, the daughter of Duck Dynasty stars Jase and Missy Robertson, has been released from hospital after cleft surgery. According to her mother, Missy Robertson, Mia is recovering at home and already has an appetite. “Mia is home and resting well. Already had 2 helpings of homemade spaghetti sauce, diluted and blended, but still tasty. #MissKaysRecipe #Mmm,” tweeted Missy Robertson from her official Twitter account. 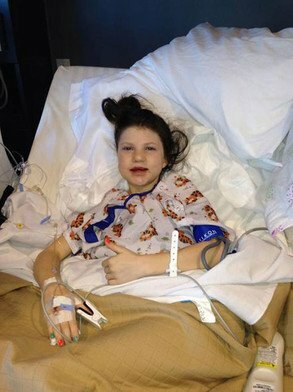 Mia Robertson’s surgery was a success according to her father, Jase Robertson. The child was surrounded by family before the operation and she is still being treasured even after coming home. Duck Dynasty’s Missy Robertson has launched her first clothing line in collaboration with Southern Fashion House. “I felt there was a void in the market for busy, working moms who want to look put together without having to put a lot of effort into it while staying modest and age-appropriate. These styles are reflective of the fun new fashions that can always be found in the junior section of department stores. However, the silhouettes in the collection are intended to flatter women of all ages, shapes, and sizes,” Missy Robertson said. The new clothing line is called Missy Robertson by Southern Fashion House, a collaboration with Stephanie Carter’s Southern Fashion House, which produces Judith March, Jacque and Janis clothing lines and DejaVu boutiques. 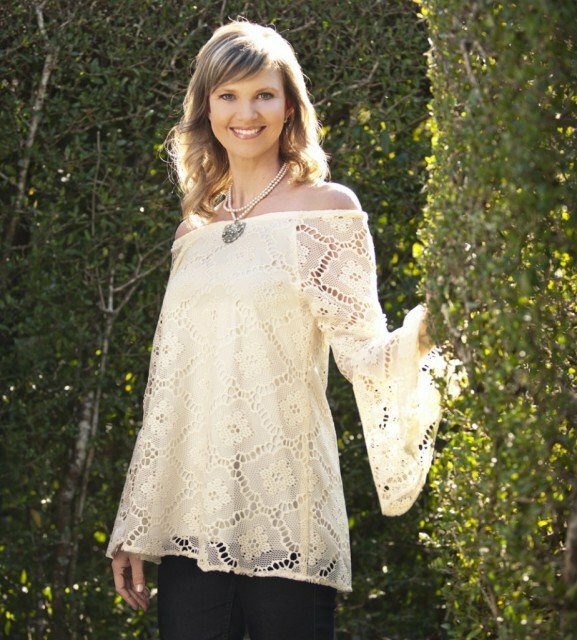 The 2014 Missy Robertson Spring Collection – debuting this month at Market in Atlanta, Dallas and Las Vegas – consists of approximately 55 pieces including dresses, sportswear, light cover-ups, and mix-and-match tops that are both versatile and affordable. Mia Robertson underwent surgery last week for a cleft issue on her face – and her parents, Duck Dynasty’s Missy and Jase Robertson, have been keeping friends, family and fans posted on her progress via Facebook. Mia Robertson, Duck Dynasty’s Jase and Missy Robertson’s daughter, is recovering from what her mother called “a major bone graft procedure for her cleft”. Mia Robertson, the daughter of Duck Dynasty’s stars Jase and Missy Robertson, went under the knife on Friday to treat a cleft issue on her face. Missy and Jase Robertson have been using Facebook to keep friends, family and fans up to date on the Mia’s progress. “Almost done with all the pre-op appointments today. Was just told by one of the doctors that she was impressed with how well Mia is prepared for this major bone graft procedure for her cleft,” Missy Robertson wrote on Thursday. 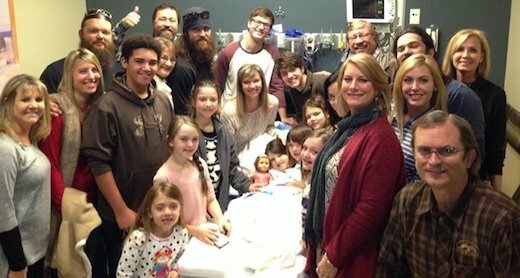 Just after the surgery began, Missy Robertson shared a picture of a great many family members gathered at Mia’s bedside. 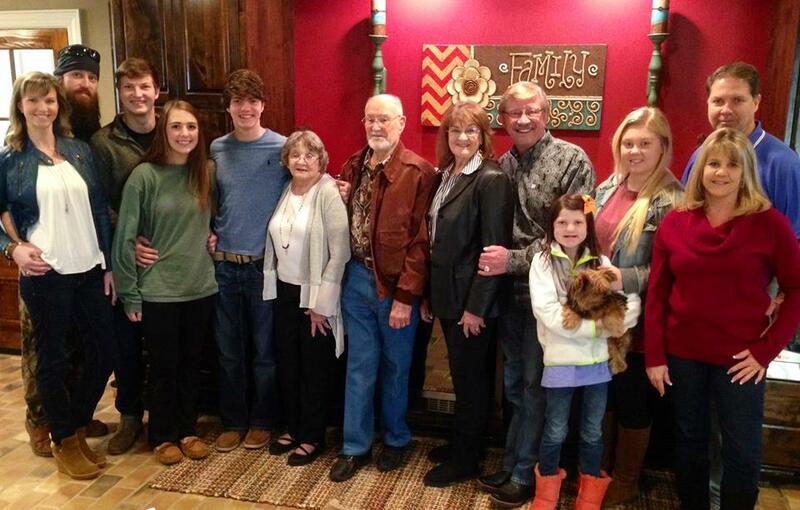 Noticeably absent were Mia’s grandparents Phil and Miss Kay, as well as her Uncle Willie. “Surgeon’s [sic] has been working on Mia for about 5 minutes,” Missy Robertson captioned the photo. 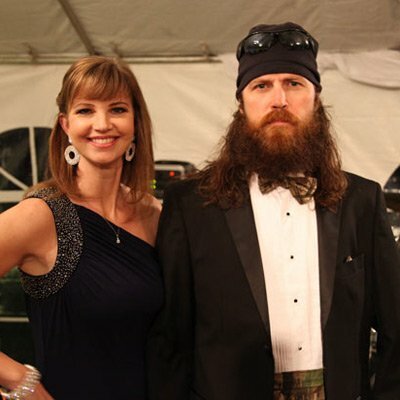 Duck Dynasty’s Missy Robertson revealed she’s not a big fan of husband Jase’s iconic beard. In a recent interview with InTouch magazine, Missy Robertson said she’s not a huge fan of her husband’s signature beard. “I’d much rather have the face that I fell in love with,” Missy Robertson said. Duck Dynasty‘s Missy Robertson revealed she didn’t immediately fall in love with Jase Robertson when they first met 23 years ago in high school. Duck Dynast ‘s Missy Robertson revealed the biggest challenge in her marriage to Jase Robertson was when they had their youngest child, Mia. “She was born with a cleft lip and it was heartbreaking. It was especially tough on Jase to see his little girl with a disability, so we had to alternate who was the <<rock>> during that time,” Missy Robertson told InTouch magazine. But now, 10-year-old Mia “just bursts into a room and starts talking – she’s even done public speaking in front of thousands of people!”. Duck Dynasty’s Reed Robertson, the eldest son of Jase and Missy Robertson, admitted that the pressures of being on a hit television show changed him, and not necessarily for the better. “No one wanted anything to do with a cynical person like me,” he said. Reed Robertson, now 18, wrote a suicide note, but after speaking with his parents, Jase and Missy Robertson, he had a change of heart. “My mom was devastated of course. She’s crying and all this kinda stuff. She’s thinking where she went wrong and it wasn’t her at all,” he said. Now, Reed Robertson said his situation has turned around and he’s “back on track with Jesus”. “I just thought about, like, <<I’m about to leave all these people that I could have a really huge impact with>>,” he said. The 30-minute documentary The Robertsons also recently shed light on past issues regarding Reed’s grandparents, where it was revealed that Phil Robertson’s one-time drinking problem almost destroyed his family. Duck Dynasty will return on December 11 with the Robertson family’s annual Christmas special. Duck Dynasty stars Jase and Missy Robertson have three kids: Reed, Cole, and Mia. 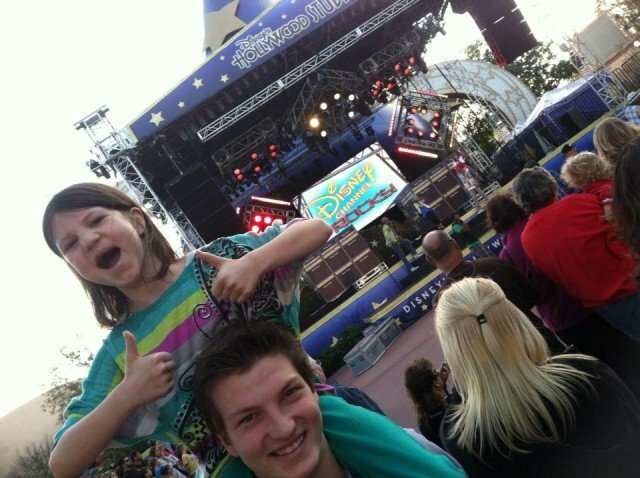 The little one is Mia Robertson. Ten-year-old Mia hasn’t been on the show at all, except sitting around Miss Kay’s table for the family blessing that ends each episode. Mia Robertson had a cleft lip (cheiloschisis) and cleft palate (palatoschisis) condition and she had an operation for it. 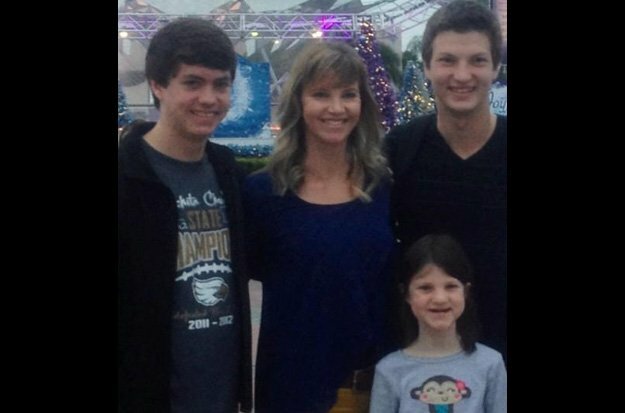 Reed Robertson is Jase and Missy’s eldest son. He is a senior in high school, playing football, and hanging out with his girlfriend. Duck Dynasty’s Jase Robertson and his wife Missy have three kids: Reed, Cole, and Mia. Reed Robertson, 18, is Jase and Missy’s eldest son. He is a senior in high school, playing football, and hanging out with his girlfriend. Duck Dynasty’s Jase Robertson revealed how he convinced wife Missy to eat frog. “I’m not a trophy type hunter in any way. We were raised on the river bank, and we were extremely poor. We commercial-fished the river for money. We lived off the land. Ninety percent of the meals we had growing up were from the woods and the water,” Jase Robertson said. Jase Robertson has had fun with his wife Missy, who was not raised killing her own food. One time he brought home frog and convinced her to eat it by telling her it was chicken. “Well, you just ate frog,” Jase Robertson replied. Jase Robertson said that their newfound fame hasn’t changed how the family interacts with each other or their values. “We’re not into things. What can you buy? What can you do? If you’re happy with the people you’re with, to me, that’s what matters,” he said. Duck Dynasty, a half-hour reality TV show, debuted in 2012 and follows the Robertson’s family’s lives in Louisiana. Duck Dynasty’s Jase and Missy Robertson attended the Ouachita Christian game on Friday night. 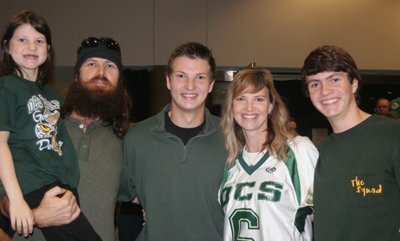 At Ouachita Christian, Monroe, Louisiana, where Jase and Missy Robertson’s son Reed is a senior, the Duck Dynasty stars blended in with the crowd Friday night to watch Ouachita Christian’s victory against Block. Jase and Missy Robertson weren’t operating in complete anonymity, however. Missy Robertson sang the national anthem and Jase provided the invocation in Ouachita Christian’s home opener. Jase Robertson mentioned that he thinks Reed will end up at LSU and forgo opportunities to continue playing football at the FCS level. In the latest episode of Duck Dynasty, Jase Robertson and his wife Missy are renovating their kitchen, so their own house is temporarily uninhabitable and have to move to his brother Willie’s home. “I got no electricity, I got no water, I got no food,” complained Jase Robertson. His sister-in-law Korie Robertson graciously offered her hospitality to Jase and his family – which didn’t leave Willie particularly thrilled. “Hey, y’all remember that time I said I was excited to have Jase over?” Willie Robertson asked rhetorically. After a long day at work, Willie Robertson comes home to find his kids and niece building a fort in his living room. “That’s not a fort – that’s a teepee,” Willie Robertson groused to Missy. Despite Willie Robertson’s initial bad mood, he tried to remain optimistic about spending some quality time with brother. “I know I tend to complain a lot about Jase, but the kids seem to be enjoying each other,” Willie Robertson reasoned. Willie Robertson discovered his brother Jase sitting in his favorite chair, watching the end of a game that Willie had recorded to watch later. To make matters worse, Willie Robertson sat down on a mysteriously damp cushion. “So far, I’ve been living with Jase and his kids for a total of five minutes and already the house looks like crap,” Willie Robertson complained. The weekend went downhill from there. At 4 o’clock in the morning, Willie Robertson was awoken by Jase, who was in the kitchen, noisily frying a piece of Willie’s prized waygu steak, which cost him $100. “That was mine,” lamented Willie Robertson. “It’s a steak,” Jase Robertson replied casually. Eating was definitely on Jase Robertson weekend agenda. The next day, he was cleaning a cooler filled with slimy fish in Willie’s gourmet kitchen. Willie returned from the supermarket to discover his brother with a sharp knife in one hand and a bloody fish in the other. 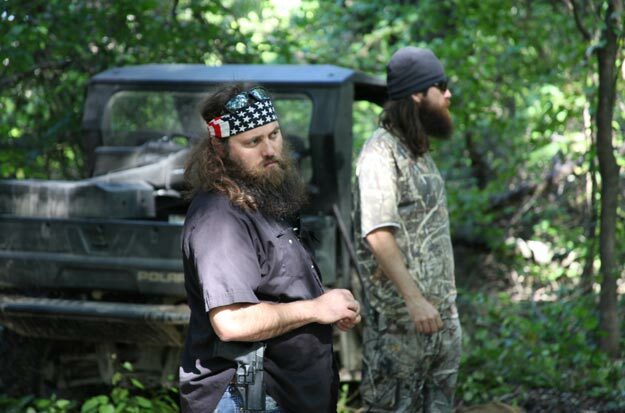 “What are you doing,” Willie Robertson asked his brother Jase. “It’s a beaver,” confirmed Jase. “Are we going to eat the beaver?” Jase Robertson’s daughter Mia asked innocently. The bloody, dead beaver sitting in the sink wasn’t the worst of it. Korie Robertson, not particularly happy to come home to find that her kitchen had been turned into a rodent butchery, almost lost her patience when her daughter, Sadie, discovered a crawfish scurrying across the floor. “How did the crawfish get in the house,” Korie Robertson asked Jase cooly. “Look, I got some crawfish in the tub – I’m purgin’ ‘em,” Jase explained. It turned out that Jase Robertson was purging about 100 lbs of crawfish in Willie and Korie’s jacuzzi tub in their master bathroom. “I’m sick of this, I’m sick of beaver, I’m sick of all of it – he is gone,” Willie Robertson vowed. Meanwhile, Uncle Si Robertson had been busy making “gentlemen’s bets” of one dollar with everyone at the Duck Commander warehouse. Si Robertson lost in every wager imaginable, including a wooden woodpecker chase, pitching baseballs at a pyramid of red Solo cups, hitting baseballs at the local batting cage and an aborted attempt at Indian leg wrestling. To make up for his loses, Uncle Si had a plan. His brother Phil Robertson needed to remove a fishing boat that had been stuck in a tree since Hurricane Gustav in 2008. “This is the bet I have been waiting for,” said Si Robertson. Using some self-professed “redneck” ingenuity, Si Robertson managed to get the boat out of the tree with some help from the Duck Commander crew and win $1 from Phil. “It was the best dollar I ever spent,” declared Phil Robertson. Back at Willie and Korie Robertson’s house, Jase redeemed himself by preparing a crawfish feast for the entire clan. “No matter what happens, there’s nothing better than spending time with your family,” Willie Robertson reflected. While you might expect Duck Dynasty reality show about a Louisiana family of self-avowed “rednecks” to be an unfriendly environment for women, it is quite the opposite. The women of Duck Dynasty are respected, and they are strong. Miss Kay Robertson, the matriarch of the family, has been married to her husband Phil for nearly 50 years and has four sons. Although she is sometimes portrayed as silly or out-of-touch, she is a woman of dignity and substance. Viewers learn that Phil and Kay Robertson endured difficulties during their decades of marriage, including Phil’s struggle with alcohol abuse and eventual return to sobriety. Now, Phil Robertson is a man of God, and Miss Kay is the apple of his eye. In spite of Phil Robertson’s occasionally obtuse generalizations about women – comparing them to labrador retrievers or declaring that all women like romantic tearjerkers – he reveres Miss Kay. He constantly praises her character, her gentleness, and her mothering, and he also affirms the loveliness of her full figure. If Phil Robertson’s adoration is any indication of Miss Kay’s integrity, then she is a fine woman indeed. As an additional testimony to Miss Kay Robertson’s legacy, her sons also married women of great character. Korie is married to Willie Robertson, the CEO of Duck Commander. They married just after high school and have five children. She works as the office manager of the family business, and she’s a get-things-done kind of woman. Viewers witness her leadership over church and family events and catch glimpses of her important role in the company. Korie Robertson seems to have a natural instinct for business and marketing. Korie and Willie Robertson’s daughter, Sadie, also has a prominent role on the show. Sadie navigates adolescent milestones such as learning to drive or attending a school dance, all with the “help” of a protective father and quirky family members. It’s also clear that Sadie Robertson has inherited her parents’ entrepreneurial spirit and passion for ministry, as she has recently debuted a weekly video devotional and hopes to produce a modest clothing line. Missy is married to Jase Robertson, another one of Phil and Kay’s sons. Missy is very involved in the family and seems to have a playful relationship with her husband. Although the show portrays her as being somewhat high-strung, Missy Robertson seems to be a hard worker, a diligent wife and mother, and a woman of faith. Jessica is married to Jep Robertson, Phil and Kay’s youngest son, and they have four children together. Jessica Robertson rarely appeared in the first season but she emerged as a more frequent character in the second and third. She seems to have a sweet disposition and is a friend to her fellow Robertson sisters-in-law. Although Duck Dynasty sometimes defaults to gender stereotypes – i.e. the “citified” daughters-in-law who hate to hunt, or the slacker husbands who want to squander the day fishing and not showering – the characters are both loving and deep. 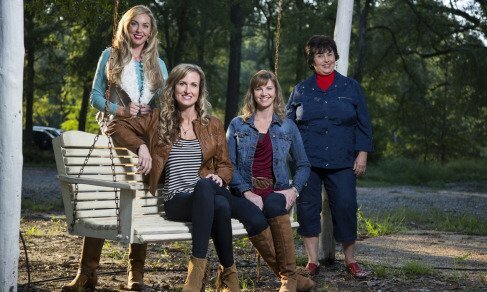 The women of Duck Dynasty are not wallflowers, subservient doormats, or flat types. Each woman on the show has contours, has a voice, and serves as an important partner to her husband. Furthermore, the show pushes back against shallow stereotypes of Christian womanhood. The Robertson women are not cookie cutter look-alikes. They’re not all stay-at-home moms, or incredible cooks, or silent submissives. Korie Robertson is a businesswoman without a knack for cooking or sewing, and Miss Kay wields a gentle yet authoritative power in the family. As the two main female characters, Korie and Miss Kay Robertson are not cut from the same cloth, but each woman has her own strengths, her own areas of influence, and her own expressions of self. Duck Dynasty’s Jase and Missy Robertson said in a recent interview that they chose to remain abstinent until marriage as per God’s desire, and also spoke about their family values and faith in God. “We were both virgins when we got married until our wedding night,” Jase Robertson said in an interview, whose video recording has been posted on the website of the non-profit group Abstinence Clearinghouse. “We decided to do it God’s way and basically had a godly agreement that we would help each other get to heaven,” he said. The Duck Dynasty series revolves around the Robertson family-owned duck call business in Louisiana, Duck Commander, and their strong Christian faith. The company produces duck hunting products, including a duck call. A staggering 11.8 million viewers tuned in to watch the premiere of the fourth season of the series earlier this month to make it the most watched reality show ever on cable television. “What attracted us to each other was what we saw in each other in our faith,” Missy, Jase Robertson’s wife, said. “We’ve been very happy for 22 years before the money started coming in,” she added. 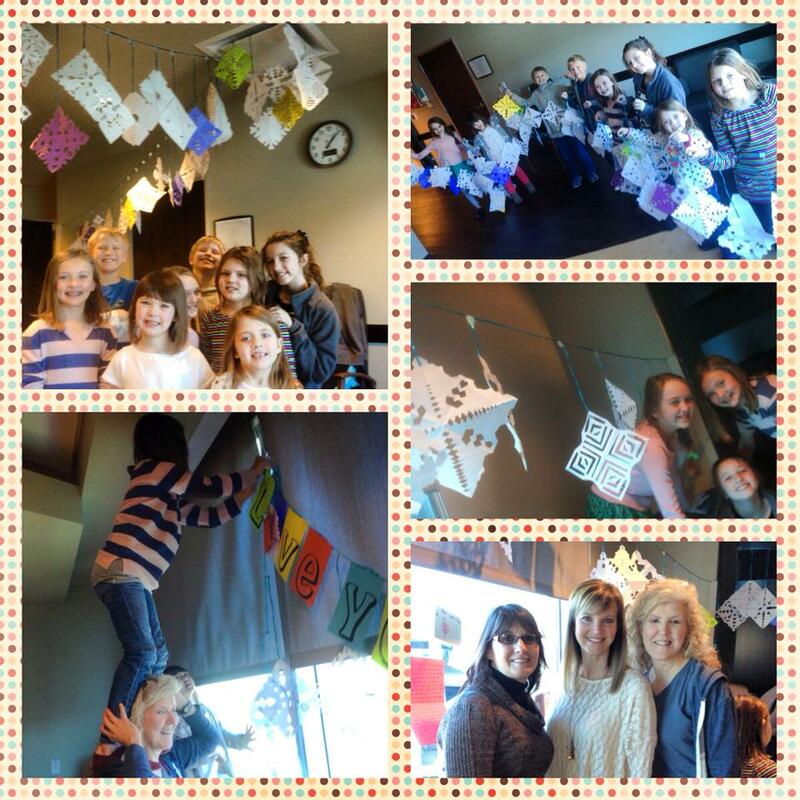 Missy Robertson said they can now see the same commitment in their children. “And what an influence we can have on our children with that testimony. Our oldest son has been dating a great girl for over a year and a half and they also have the same commitment,” she said. Jase Robertson added the world will benefit if they followed God’s desire. “A lot of people just think that that’s unreasonable or preposterous,” he said. Jase Robertson also shared why he believes fame and fortune are frivolous to him. “…We were raised really poor, my brothers, we had one bed, one room. But nobody told us we were poor and I was just as happy,” he said. Jase Robertson stated that following God brings happiness in a family. “It’s a great testimony because we’re like, ‘Look, we don’t do this because we’re representing some organization. We do it because we trust in God and we believe that His way is the better way, in all things in life,” he said. All the cast members of the series often display their Christian faith in the episodes and are seen at the end of each program engaging in prayer. The men of the Robertson family, brothers Phil and Si, and Phil’s sons Jase, Willie, and Jep, have become popular for their signature beards. Phil Robertson started the business in a family shed and spent 25 years making duck calls from Louisiana cedar trees. “Thanks to its authentic and engaging characters, Duck Dynasty has become more than just a reality show, it is a cultural phenomenon,” David McKillop, executive vice president, of A&E told Inside TV last week. Jase Robertson is a professional duck hunter and Duck Dynasty reality star who has a net worth of $4 million. Born in Louisiana, Jase Robertson is one of the sons of Phil Robertson, a man who spent 25 years creating “duck calls” carved out of cedar. Phil’s son, Willie Robertson, armed with a degree in business, turned his father’s handcrafted hobby into a multi-million dollar business. The family currently appears on the reality show, Duck Dynasty, which follows them as they negotiate the business world and their personal lives. Jase Robertson is in charge of manufacturing the duck calls, the most popular of which is the “Duck Commander”. He hand tunes all of the calls. He is married to Missy Robertson. Missy was born and raised in West Monroe, Louisiana. She attended the Ouachita Christian School where her mother was a teacher. Today, Jase and Missy Robertson’s three children attend the same school. Missy has been married to Jase Robertson for 22 years. They are both very religious and point to their faith in God for giving them the strength to make it through all of life’s challenges. Now that Missy Robertson is a bonafide celebrity, she hopes to use the responsibility to help her church and all the various charities the Robertsons support. Duck Dynasty is the second show that has chronicled the lives of the Robertsons. They were first featured on the Outdoor Channel program, Duck Commander. Duck Dynasty began airing in March of 2012. All Duck Dynasty’s lovable, sweet tea-swilling couples are anchored by long-standing, rock-solid marriages. The Robertson couples – from patriarch and matriarch Phil and Kay on down to their sons and daughters-in-law – are definitely having and holding, for richer and for poorer , in sickness and in health, for as long as they both shall live. Check out how these happily married couples met, long before they were featured on hit A&E reality series Duck Dynasty. Jase and Missy Robertson’s meet-cute story sounds like it comes straight out of a movie: They met in high school on a fake date to make Jase’s ex-girlfriend jealous! Now, they’ve been married over 20 years and have three kids – Reed, Cole, and Mia. Jase Robertson told Game & Fish magazine that the question the bearded Robertson men get asked most by viewers is how they managed to snag such beautiful wives. “You hear people say <<Oh these women married these guys for their money>>, because we’re successful now, but what they don’t realize is that when they met us, we didn’t have any money. We were all poor, and we’ve all been married for lots of years,” Jase Robertson explained. On his Facebook page, Jase Robertson said “I am HAPPILY married” while responding to various fan questions. The men of Duck Dynasty reality show all sport awesomely wild and bushy beards, but there was a time in the distant past when you could see their faces before they grew in the shaggy facial hair. 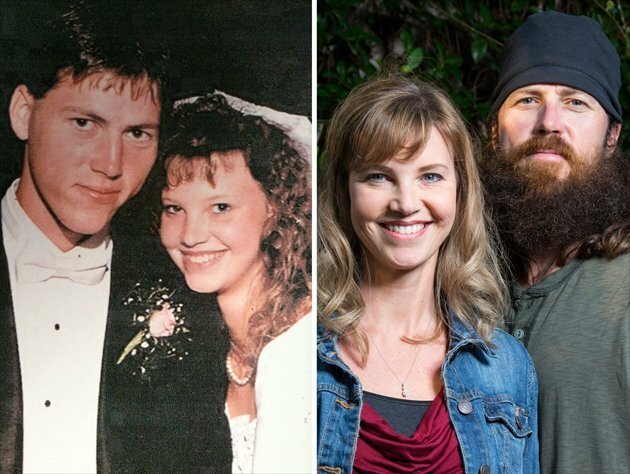 Right: Twenty years later and Jase and Missy Robertson are still happily married.